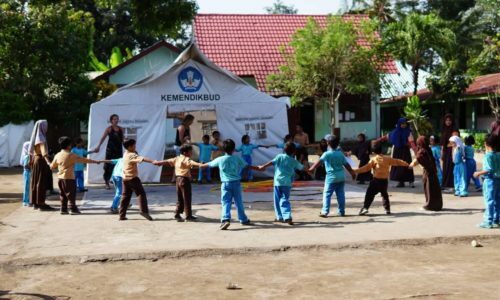 Since the Lombok earthquake, which happened on the 5th of August, we’ve been running a trauma recovery and moving on program. 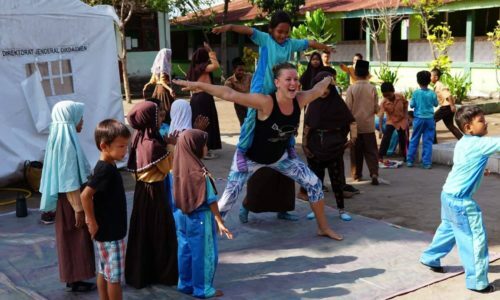 Mainly organising social circus workshops in Gili Air‘s elementary school (SD), and in Camp Pamenang, in Lombok. 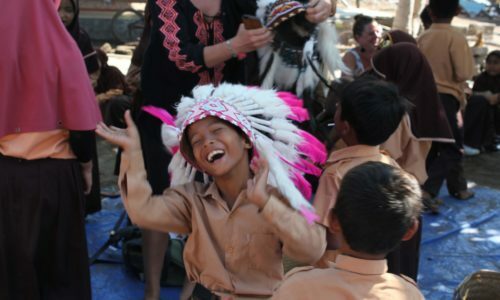 We’ve been able to keep the program running, for the people of Lombok and Gili. The best is, the kids absolutely Love it! If you are reading this and you love this idea, or you know someone that would love the idea, please, as we say in French “Faites passer le mot!”, help us spread the word, towards the circus community worldwide! Lets keep creating Magic for the community! 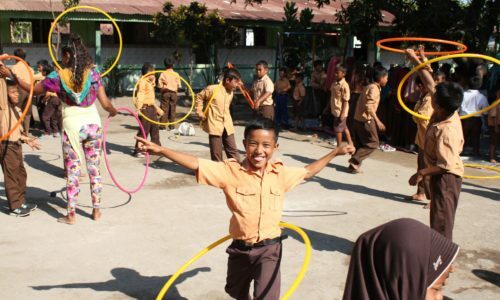 Together with the Fiery Pixies, we are planning to make around 100 hoola hoops for the people of Lombok. Two playful pixies who love to flow, play, dance and spin together. Through sharing our passion for flow and movement with the world, we remind people that magic still exists. We LOVE them! 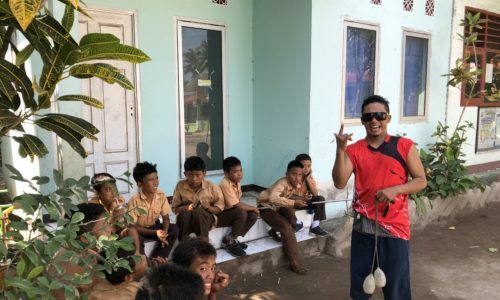 The plan is to drive around Lombok and visit as many camps as possible in North Lombok, host social circus workshops and give all the kids hoops. Since the Lombok earthquake, the people of Lombok have lost everything. Basically all of North Lombok is flat. Over 300.000 people displaced, which means they currently have no home. Either the earthquake distroyed their home, or their home was considered unsafe and they had to demolish it. Can you imagine loosing your home? Most of them worked their entire life to pay for their homes. Now they live in tents. As they are waiting for the government to help them rebuild. We’ve managed to raise almost enough money to rebuild 11 homes. Nevertheless we’d like to help all the others with our trauma recovery and moving on program. 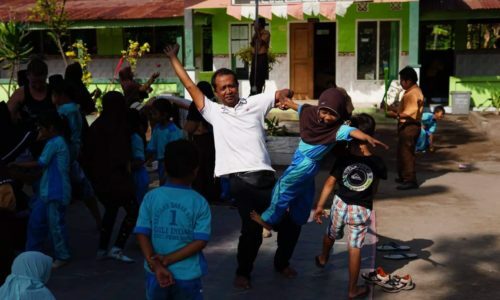 Being a victim myself of the Lombok Earthquake, I know exactly what PTSD, post traumatic stress disorder, feels like now. Lucky me! Learning everyday! It basically means that as soon as the ground shakes just a little bit, for example in an elevator, a wooden house in windy season, a bridge, even the thunder actually sounds exactly like the start of an earthquake,… How can I discribe it? Your heart literally stops, you freeze and panic. Then you get a hold of yourself and laugh at yourself, if you’re lucky. Social Circus is actually fabulous to move on. Thinking about something else, circus is the perfect combination of creativity, physical exercise, coordination, and fun! A perfect blend for PTSD if you ask me. Lets play!